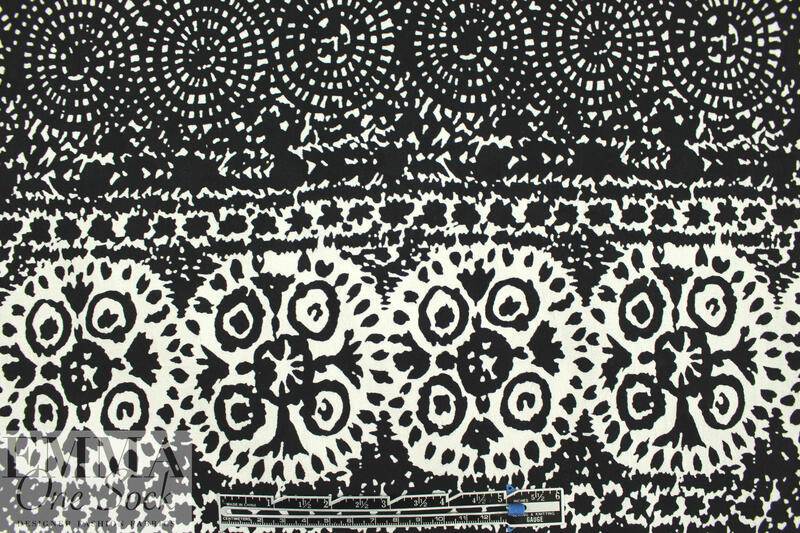 From P0lo, this is a lovely medium weight cotton damask weave with a printed graphic stripe (11.5" repeat) in black and white. 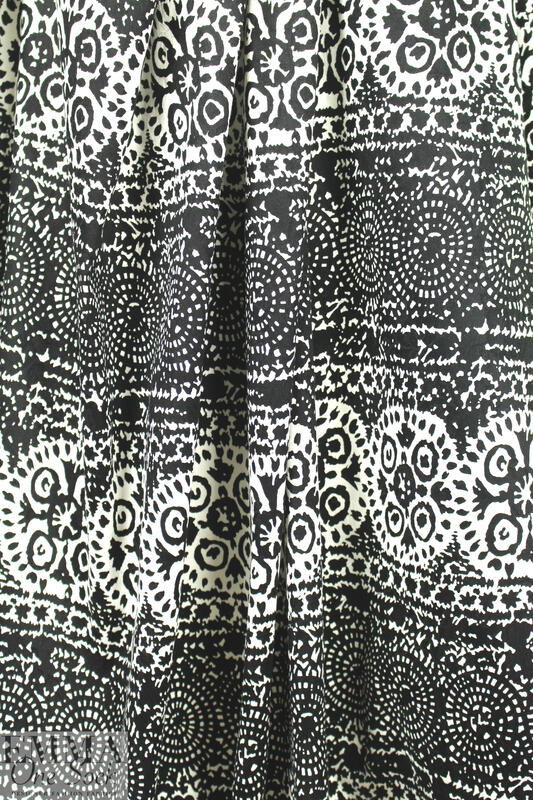 The graphic print has an arc to it as it goes across the fabric (seen in last photo), giving it a more playful, hand-crafted look. 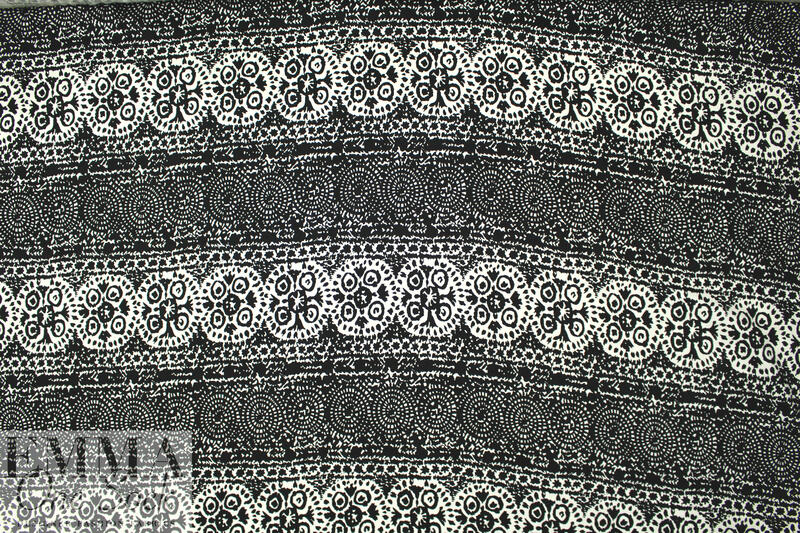 The fabric is medium weight with about 25% widthwise stretch and a slight texture from the damask weave. 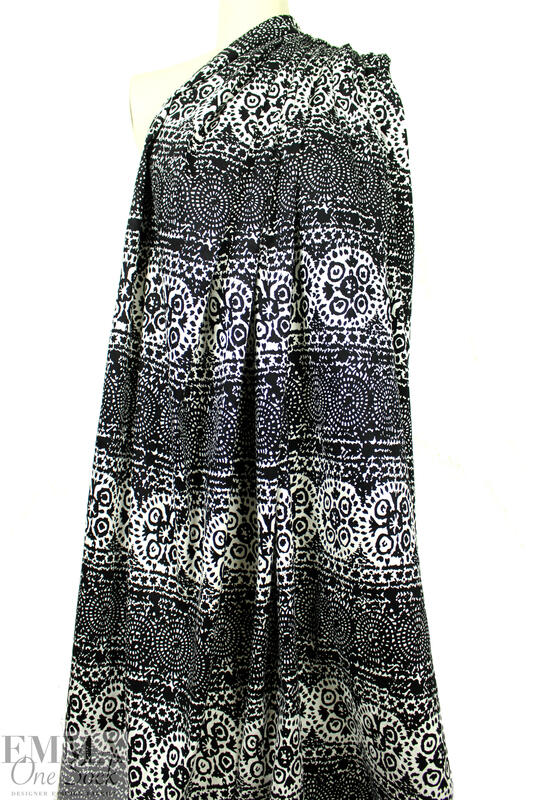 Great for an overshirt, tunic, dress, skirt, light jacket, capris, shorts, etc. Dry clean, or test first if you wish to machine wash cold, delicate. Do not bleach, hang to dry.